Most cancer drugs approved by the EMA between 2009-2013 came onto the market without clear evidence that they could improve length or quality of life for patients, a new study has suggested. The research, published in the BMJ, looked at the 48 cancer drugs in 68 indication approved by the Agency over the four-year time period. Of these, eight indications (12%) were approved on the basis of a single-arm study. At the time of market approval, 24 (35%) of the indications showed significant prolongation of survival and seven (10%) showed improved in quality of life. Out of the 44 indications for which there was no evidence of a survival gain at the time of market authorisation, in the subsequent postmarketing period there was evidence for extension of life in three (7%) and reported benefit on quality of life in five (11%). Out of all the indications, only 35 (51%) had shown a significant improvement in survival or quality of life, while 33 (49%) remained uncertain. Of 23 indications whose survival benefit could be scored with the ESMO-MCBS tool, the benefit was judged to be clinically meaningful in less than half (48%). In their conclusion the researchers said: “This systematic evaluation of oncology approvals by the EMA in 2009-13 shows that most drugs entered the market without evidence of benefit on survival or quality of life. EFPIA responded in a statement saying: "Today, 2 out of 3 people diagnosed with cancer survive at least 5 years. Between 1991 and 2011 deaths from cancer have fallen by 21% across the EU5 (UK, France, Germany, Spain and Italy). This progress has been driven by rapidly advancing science, better diagnostics and innovative therapies. The impact for patients has been longer survival and better quality of life. "This study predominantly focused on clinical trials, rather than on real world data on actual patient outcomes. 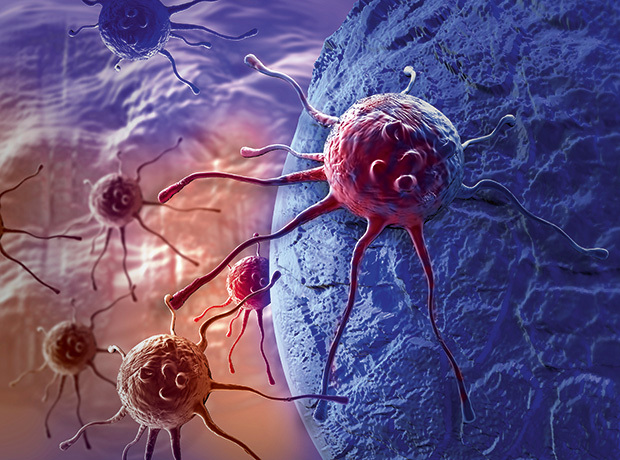 The gathering together of overall survival data on new cancer medicines, generated in clinical settings, continues to represent a significant challenge both in terms of complexity and time. To help determine how medicines will function in a real world setting surrogate endpoints (often laboratory tests indicative of an expected improvement), often employed as clinical endpoints are often less clear-cut in more complexes diseases such as cancer. "New therapies in Europe undergo rigorous cost-effectiveness assessments and are only reimbursed if they meet the cost-effectiveness criteria against existing standards of care. In cancer, the value of many treatments has tended to increase over time through impact on survival, or use in earlier lines of therapy and stages of a disease. For example, seven out of 10 cancer medicines approved by the EMA between 2003 and 2005 had additional approved value expansions following their initial indication, including for additional types of cancer."